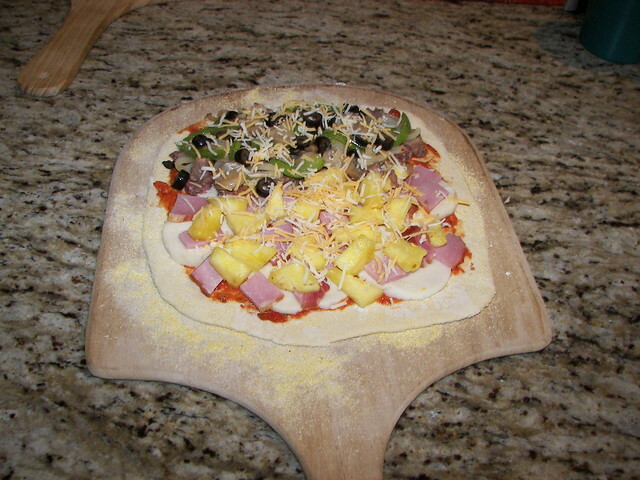 Finally got the Platypus Fired up and made a few Pizzas. Thread: Finally got the Platypus Fired up and made a few Pizzas. 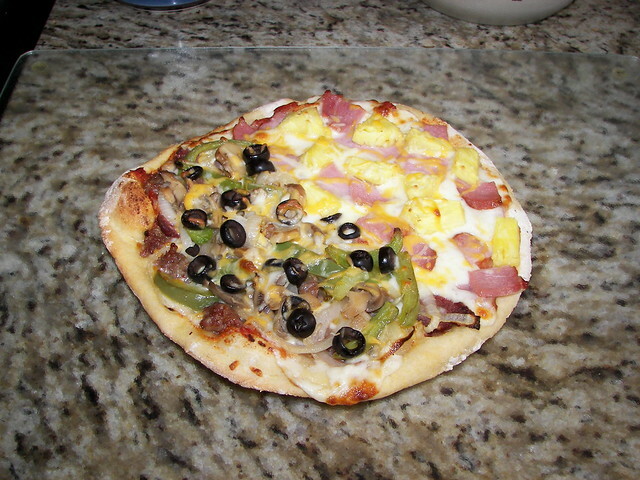 Been well over a year since we made pizzas on the kettle pizza. We picked up a platinum kettle to be used as a dedicated pizza cooker. With the four point stance it’s very stable, which is something I really wanted because of the blast furnace heat I didn’t want any surprises’ with a three point stance kettle. Also the two shelfs come in real handy. I really forgot how to set up the kettle pizza for cooking pies. I did modify an old grate to use for it by cutting out the back six bars for refueling and cutting both handles off. I started with a large full chimney with KBB and large chunks of western lump charcoal. 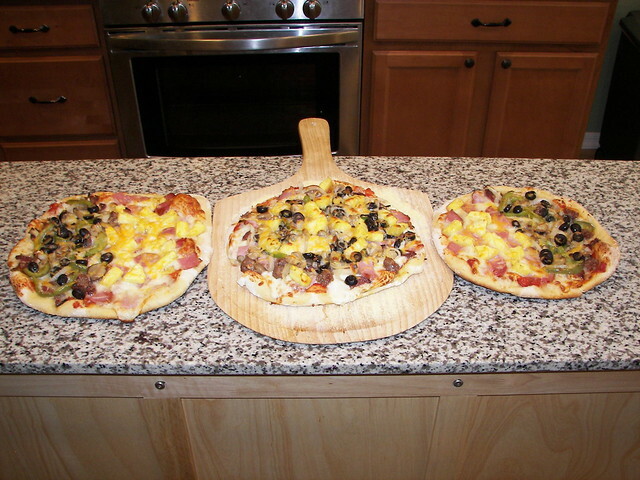 It wouldn’t get over 500 degrees so the first two pizzas took a while, then I remembered I used to add wood chunks. Threw about six med chunks of beach wood and that did the trick pegged the gauge. The third one came out much better. Because these will be frozen for future meals we did the whole thing right after lunch so It was warm and we had plenty of light, instead of stumbling around in the dark. Glad to see that platypus getting used. Those are beautiful pies, Rich! I really gotta jump on the pizza bandwagon. Those are some great looking pies Rich! 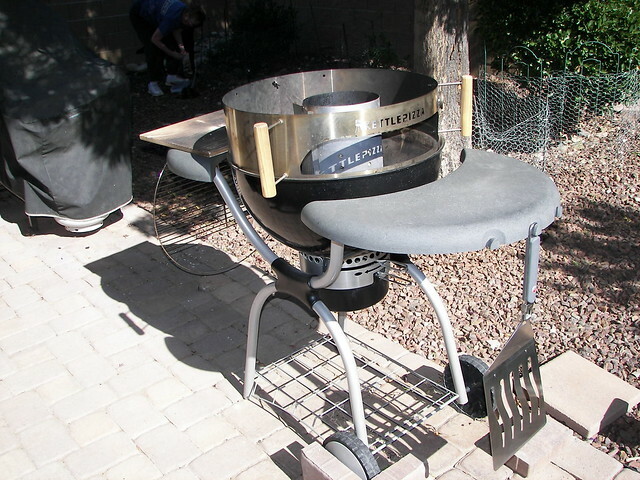 I like the modified grate idea to simplify adding briquettes/wood. Lookin' good, Rich! Real good!! Great looking pies!!! His & Hers? Who gets what half? 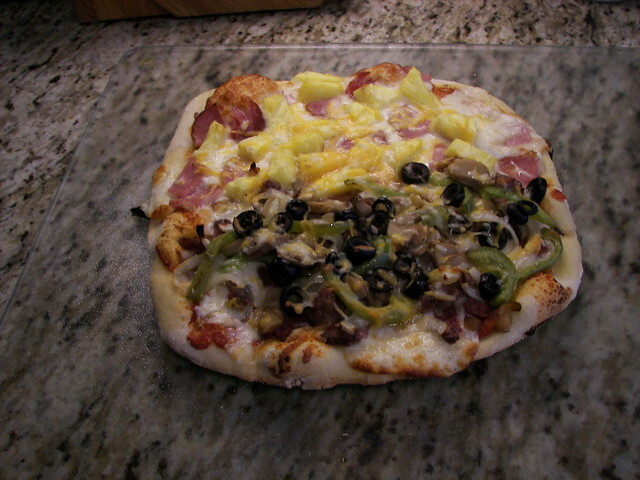 The one on the peel is a full combo which was Canadian bacon, sausage, pepperoni, pineapple, black olives, onion, bell pepper, mushrooms. 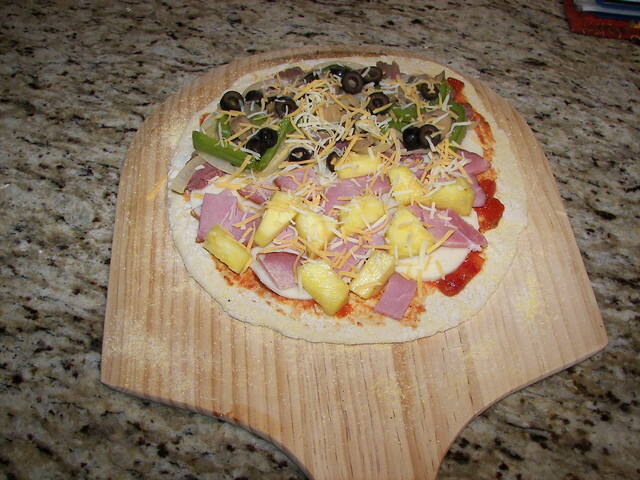 The other two are half combo and half pineapple and Canadian bacon which is what I like. What was fun was using our homemade Canadian bacon, pepperoni, sausage, pizza sauce and of course Barb's homemade pizza dough. What is your method for thawing/reheating your pies? Robert, we take them out of the freezer and open up the tinfoil and let them thaw 25-30 minutes. Then into a 325 degree pre heated oven for 20-30 minutes depending on how much is on it and the size. Seems to work well for us. We have also just microwaved them frozen, but the oven method although it takes longer the results are better. Great looking pies Rich. The platypus is a cool grill. There has been one for sale around here for a couple of weeks now and I have considered buying it. I'm wondering if there is a cover available for it.